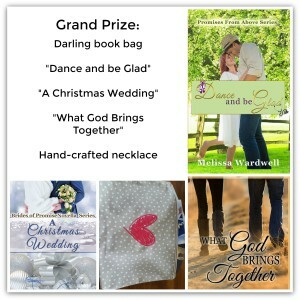 History, Mystery and Faith is very excited to be a ﻿﻿stop on Melissa Wardwell's Dance and Be Glad blog tour. Pull up a chair and get to know this first time author. Dr. Michael Emerson is on the cusp of opening his own practice when his brother and sister-in-law are killed in a car accident, leaving him as guardian of his ten-year-old niece, Emily. Even though he is a Christian, he struggles with why God allowed her parents to die? What does Mike know about raising little girls? Widow Jill Matthews has everything she needs: a beautiful daughter, a close circle of friends, and a successful dance studio. She doesn’t need any complications in her life, but when Mike brings Emily to dance class, he seems to be drowning in his grief and efforts to care for the little girl. Jill offers to help him as a friend, but doesn’t count on the feelings he rekindles within her. Dance and Be Glad is a well-written love story that effectively weaves themes of forgiveness and God’s love through the story. Too many romance novels on the market are fluff pieces that offer cardboard characters and formulaic writing. This was not the case with this book. I could relate to Jill’s and Mike’s struggles with trying to figure out why God allows certain things to happen-the age old question of why do bad things happen to good people. Jill’s girl friends are fun and quirky, without being shallow. Author Melissa Wardwell does a great job of developing Mike and his friends, portraying them as decent, God-fearing men without seeming sissyish or caricatures, as often seen on television. Giveaway: To celebrate her tour, Melissa is giving away a wonderful package that includes a hand-crafted necklace. Click Dance and Be Glad Giveaway to enter. 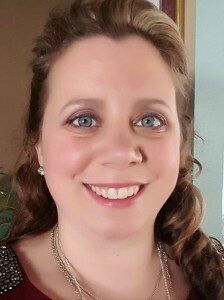 Melissa's Bio: I am an independently published author of Christian romance. I wear many hats from one day to the next. I am a devoted wife, basketball and dance mother, teacher, taxi service, friend, caregiver, daughter, sister, and now, published author. Seeing all that is enough to make my head spin. But more importantly, I am the Daughter of the Most High King. It's great to hear from another reader. Glad you enjoyed the book and the review. Oh my goodness! Dance and be Glad sounds like it's going to be a real page turner! Thanks for sharing Linda! You're welcome. Stop by anytime! Would love to read. Thank you for the interview. You're welcome. So glad the book sounds of interest to you There is a purchase link in the post.